How to optimize a video outside of AppicalNow. Different quality, different formats, different framerates, all videos seem to be different. Especially when you’re collecting videos from different sources you will find yourself lost between formats. To make sure your users don’t end up with huge quality differences and 4GB apps it’s useful to convert your videos to the right formatting. INFO: AppicalNow supports MP4 videos up to 35MB for the welcome pop-up and Order Video page. The limit is 90MB for the Video page. Please keep in mind that the more videos you have, the longer it will take to app to upload. 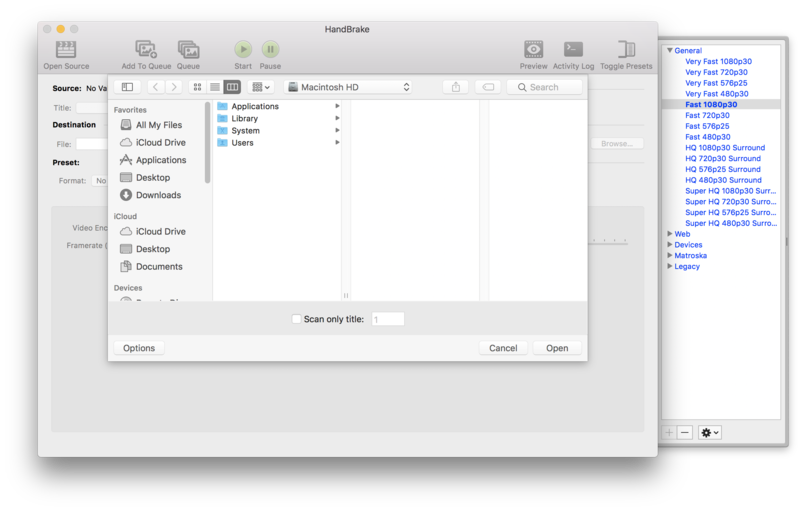 Handbrake is one of the easiest tools to convert your videos. It’s available for all major platforms and it’s free! You can download Handbrake here. Step 3. Select your source, and select the video you would like to convert. Step 4. Select a setting. Handbrake comes with a few convenient pre-set video formats. Pick for example the iPad setting to let Handbrake optimise your video for iPad. Step 5. Select a destination. Make sure to save your converted video to a folder you can easily locate. Press start to convert the video. You will receive a notification from handbrake once your new video is ready. Voila! Upload it to AppicalNow and let your users enjoy your optimized video.